At about 5:30 PM local time on February 16, a massive bomb ripped through a bustling street lined with grocery stores, schools, and tuition centers in the southwestern Pakistani city of Quetta. A water tanker packed with an estimated 2,200 pounds of improvised explosives had been detonated in the middle of busy crowds of children leaving their classrooms, and men and women buying groceries for their evening meals. According to initial media reports, the blast killed at least 79 people and wounded 180 others, mostly women and children. A Hazara activist I spoke with two days after the attack claimed that the death toll had reached 110, as some of the wounded succumbed to their injuries and more bodies were recovered from the rubble of the shops brought down by the blast. The victims were members of the Hazara community, an ethno-religious minority that is becoming the symbol of Pakistan’s drift into horrors of sectarian conflict and extremist violence. Sectarian violence is neither new nor rare in Pakistan. Beginning in the 1980s, the country has witnessed an escalation of violence between militant groups of its Sunni majority and Shiite minority population. The growth of these jihadist outfits cannot be disentangled from strategic rivalries between Iran and Saudi Arabia over the leadership of the Islamic world. Saudi Arabia’s decades-old policy of promoting puritanical Wahabi Islam, along with the Islamic Republic of Iran’s efforts to promote its own version of revolutionary Shiite Islam, was central to the mushrooming of fanatical groups such as the LeJ. Founded in 1996, LeJ has its roots in the Sipah-e Sahaba Pakistan (SSP), a Sunni-Deobandi militant organization which was established in 1985 amidst the rise of international militant Islamism and sectarian violence following the Islamic Revolution of Iran in 1979 and the anti-Soviet jihad in Afghanistan in the 1980s. For several years, the SSP fought violent battles against its Shiite equivalent Sipah-e Muhammad (SM). Pakistan’s domestic sectarian conflict has grown in tandem with and as consequence of its military and intelligence establishment’s use of extremist groups as a weapon in its foreign policy arsenal. While the Shiite militant organizations such as SM over time disappeared in the face of an inhospitable political environment in Pakistan, groups funded and armed by Saudi petro-dollars became a convenient instrument in the hand of Pakistani political and military establishments in its conflict with India over Kashmir, and in the war in Afghanistan. In Afghanistan, LeJ was one of several foreign militant groups that aided the Taliban movement that emerged with Pakistan’s support in the second half of 1990s. These groups along with Al-Qaeda provided the Taliban with an endless supply of external firebrand jihadists and financial resources. LeJ maintained a militant training camp in the Surobi district of Kabul under Taliban rule and participated in the militia’s campaigns of ethnic cleansing and scorched-earth operations against its opponents. The devastating blast in Quetta on Saturday was the latest in a series of targeted attacks on Hazaras that have over recent years been escalating rapidly to become a full-fledged campaign of ethnic cleansing. 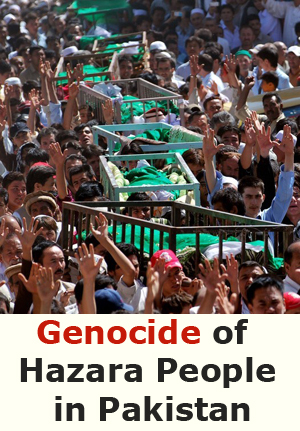 According to Hazara Organization for Peace and Equality (HOPE), an organization of Hazara activists that has maintained and updated a list of victims of such sectarian violence since 1999, the targeted violence against the Hazaras has taken over 1,300 lives and injured more than 3,000 others. Just as our fighters waged a successful jihad against the Shiite Hazaras in Afghanistan, our mission is the elimination of this unclean sect and people, the Shiite and Hazaras, from every city, every village and every corner of Pakistan. 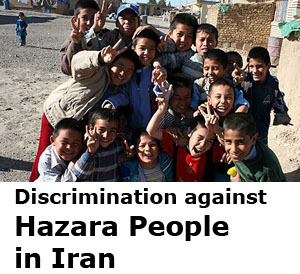 Hazaras make up about a half-million-strong community in Baluchistan’s restive capital of Quetta, and are distinguished by their distinctive Central Asian facial features, their distinctive dialect of Persian, and their practice of Shiite Islam in a predominantly Sunni country. In the complex political and security environment of Pakistan, and South Asia more broadly, where blatant violence holds sway, the Hazaras do not carry much political weight. In a country of 180 million people, they have neither the sufficient voting power to threaten Pakistan’s key political parties ahead of the forthcoming general elections, nor the capacity to take the fight against LeJ into their own hands. Operating in an environment of virtual impunity, LeJ has over time improved its tactics to increase the number of victims per episode. 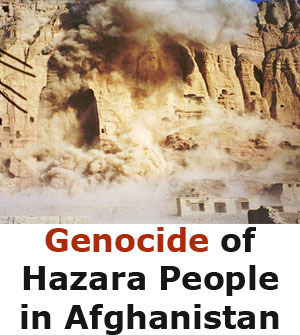 The new tactics include the ambush and mass murder of Hazara passengers on Baluchistan’s highways, and brazen attacks at the heart of Hazara neighborhoods. 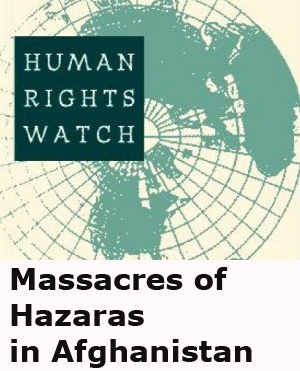 On September 20, 2011, a bus carrying 26 Hazaras as intercepted in the Mastung district of Baluchistan, and its passengers were shot to death execution-style. LeJ claimed responsibility for the attack and released a video of the gruesome killing in the internet. And less than six weeks before this month’s blast in Quetta, on January 10, a double bomb attack targeting a snooker club on Alamdar Road (another primarily Hazara neighborhood) claimed more than 90 lives and wounded more than 150, mainly Hazaras. Attacks targeting individual businessman and ordinary Hazaras over the past years have effectively driven much of the Hazaras from the main economic and social centers of the city, pushing them further into their ethnic enclaves in the west and east of the city. 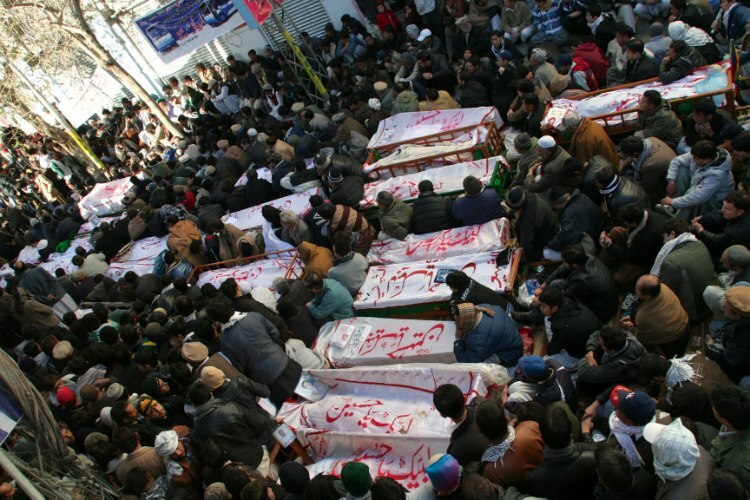 And these two massive attacks in the span of less than two months targeted the hearts of these enclaves, indicating that LeJ will not just be satisfied by pushing isolating and terrorizing the Hazara community. The impunity with which outlaw groups such as LeJ conduct a campaign of ethnic cleansing raises fundamental questions about the nature and future direction of Pakistan as a country. Allegations of Pakistani military and intelligence agencies’ collusion with extremist and violent groups, in particular when these groups served its political or security interests in the conflict over Kashmir or in Afghanistan, are neither new nor rare. Despite the scale and brutality with which these attacks have been carried out and the implications they have for the image and credibility of Pakistani state institutions, not a single culprit has been arrested or brought to justice. At best, the situation of Hazaras in Quetta illustrates a disturbing incompetence of Pakistani state institutions in the face of small groups of fanatics such as the LeJ. And at the worst, it may represent their collusion with groups bent on killing its own citizens. Hazara activists have regularly accused Pakistani authorities of turning a blind eye to their killings, and they have good reason to distrust Pakistani institutions. Malik Ishaq, one of the key leaders of LeJ, was released from prison in Lahore in July 2011, apparently for lack of evidence. He was detained in 1997 on charges of involvement in dozens of murder and violent activities. Usman Kurd and Shafique Rind, two of the ringleaders of LeJ death squads in Baluchistan who are allegedly responsible for much of the violence against Hazaras, escaped under mysterious circumstances from a high security prison in Quetta’s military cantonment in 2008. Ishaq was detained on Friday, less than a week after his organization claimed responsibility for last weekend’s attack. But if history is any sign of what is to come, he will not be in custody for long. 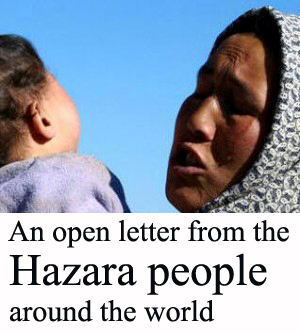 Desperate and disappointed with Pakistani political and security response, Hazara activists in Pakistan and around the world have sought to attract international attention. After every major attack, they have organized peaceful street demonstrations, gone on hunger strikes and written letters to world leaders. But a United States struggling to end a decade-long costly military intervention in Afghanistan and trying to adjust with a tumultuous Middle East is yet to take notice of the killing of a small, isolated and powerless community in Baluchistan. The key question that remains is, will the world continue to turn a blind eye to a tragedy of this scale? And if LeJ succeeds in turning Baluchistan into a Hazara graveyard, or empty the city out of its Hazara population, who will be the next victim of Pakistan’s unbridled forces of terror and bloodshed? Niamatullah Ibrahimi is an analyst based in Kabul, Afghanistan. 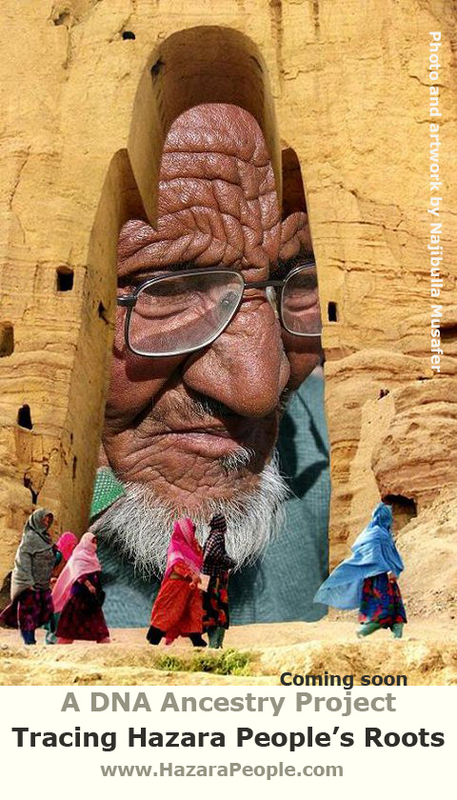 He has researched and written extensively about the Hazaras in Afghanistan and Pakistan.